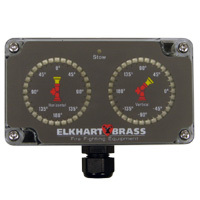 The Cobra EXM is an Efficient, high-flow, electric remote controlled water cannon/monitor for fire apparatus, industrial pumper, and aerial vehicles. 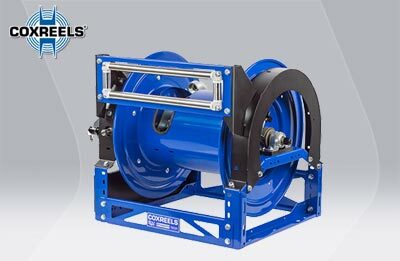 The COBRA™ EXM water cannon/monitor is specially designed to be compact providing a greatly reduced swing radius. 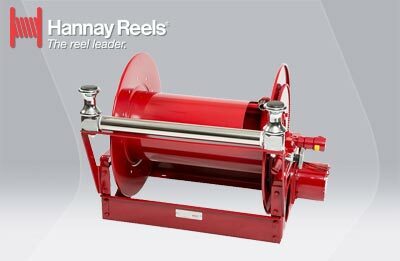 Unique waterway swivel joints utilize stainless steel thrust rods, and needle roller thrust bearings, for unprecedented durability in a range of applications. 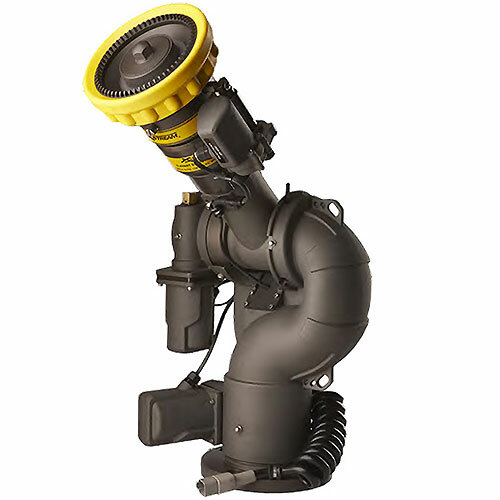 The COBRA™ EXM utilizes a cast vaned waterway to minimize large-scale turbulence. The water cannon/monitor may be powered with 12 or 24 volts. 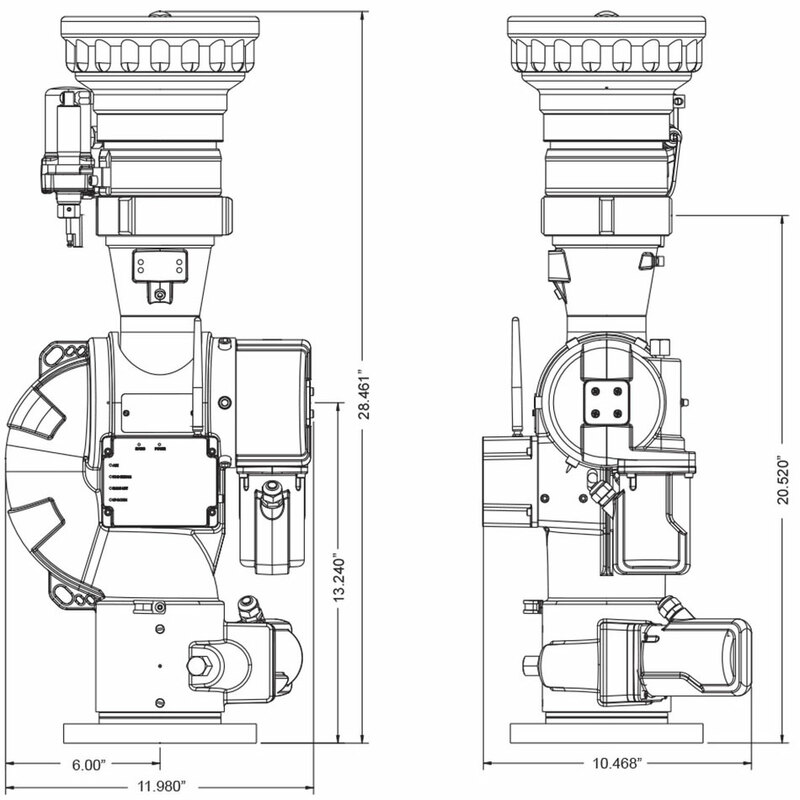 Several base options are available for use with the COBRA™ EXM including a 3" flange, DN80-PN16 flange, 4" flange, 3" female NPT, and 3" female BSPT. 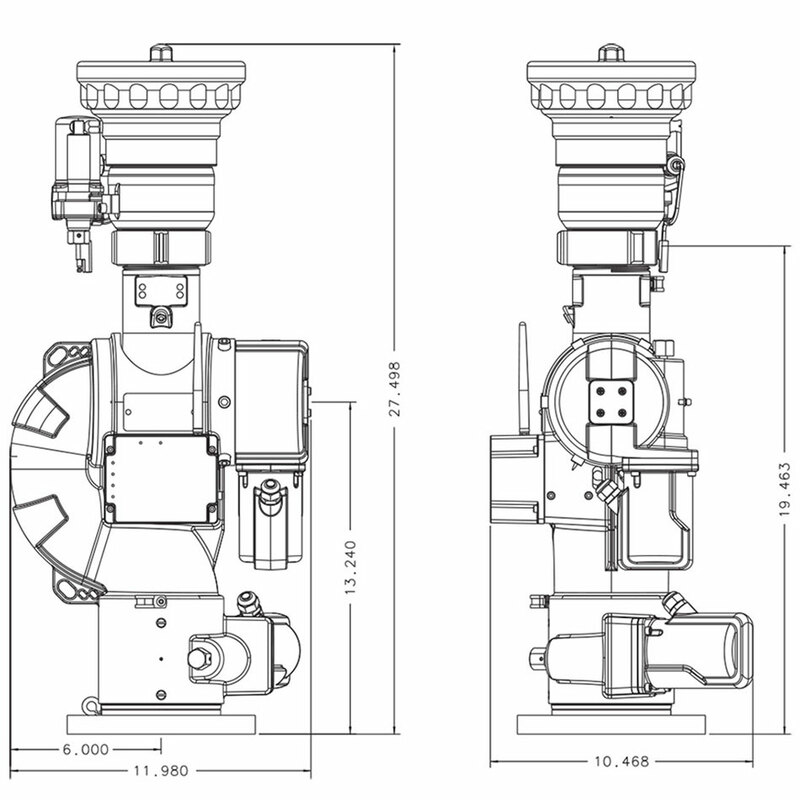 The discharge may be ordered with either a 2.5" NHT or BSPP thread (3.5" for Model 7250). 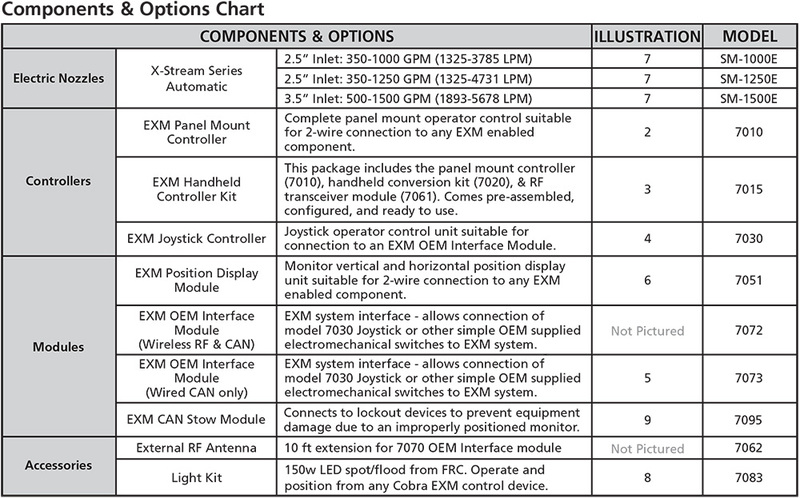 The COBRA™ EXM comes standard with permanent magnet DC gear motors but may be upgraded to high power motors. Both motor options are sealed to NEMA 4.